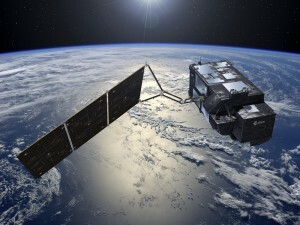 Artist’s view of Sentinel-3. Image courtesy of ESA–Pierre Carril. The future is very much the theme for Earth Observation (EO) in Europe this week. One of the biggest potential impacts for the industry could come out of a meeting that took place yesterday, 7 November, in Tallinn, Estonia as part of European Space Week. It was a meeting between the European Union (EU) and the European Space Agency (ESA) to discuss the next steps for the Copernicus programme beyond 2020. This is important in terms of not only continuing the current Sentinel missions, but also expanding what is monitored. There are concerns over gaps in coverage for certain types of missions which Europe could help to fill. As an EO SME we’re intrigued to see the outcomes of these discussions as they include a focus on how to leverage Copernicus data more actively within the private sector. According to a recent Industry Survey by the European Association of Remote Sensing Companies (EARSC), there are just over 450 EO companies operating in Europe, and 66% of these are micro companies like Pixalytics – defined by having less than ten employees. This rises to 95% of all EO European companies if you include small businesses – with between 10 and 50 employees. Therefore, if the EU/ESA is serious about developing the entrepreneurial usage of Copernicus data, it will be the small and micro companies that will make the difference. As these companies grow, they will need high skilled employees to support them. Glasgow Science Festival: Get me into orbit! There will be a total of £210,000 invested in these. We’re particularly excited to see the MELT project which will get students to use EO data to analyse what is happening at the two poles. Each of these elements will help shape the EO industry in this country. With the UK committed to remaining within ESA, decisions on the future of the Copernicus programme will provide a strong strategic direction for both the space and EO industries in Europe. Delivering on that direction will require the next generation workforce who will come from the children studying STEM subjects now. Both the strategic direction, and associated actions to fulfil those ambitions, are vital for future EO success. This entry was posted in Copernicus, Data, Earth Observation, Education, ESA, Growth, Micro Business, Remote Sensing, Sentinel, Space Industry, UK Space Industry and tagged Copernicus, data, EARSC, Earth Observation, Education, Engineering, EO, ESA, EU, European Association of Remote Sensing Companies, European Space Agency, European Union, inspiring next generation, Mathematics, pixalytics, science, Sentinel, STEM, technology, UK Space Agency by Andy. Bookmark the permalink.